Reliable protection from ricochets and splinters through safety floorings and wall panelling. Laid in shooting ranges for security forces all over the world.Universal and complete solutions are available for all danger areas in shooting ranges, such as floors, walls, ceilings or bullet traps. Together with reliable partners will work out the perfect solution for your shooting range – individually tailored to the respective conditions. Safety Elements were especially developed for installation in shooting ranges for the police, hunters, armed forces, marksmen clubs, private shooting clubs and security services. Whether for indoors or outdoors, whether on shooting ranges with one main shooting direction or in 180° shooting ranges –Safety Elements have been meeting the quality requirements placed on these products for over 40 years. Reliable protection from ricochet and bullet fragments. Offers protection even under unfavourable angles of impact. Absorbs projectiles and calibres up to 7,000 joules. Elastic material means no visible bullet holes. High resistance to wear even under intensive use. Longest service life in comparison with other currently used materials. Ongoing quality monitoring during production and installation. Elastic Tiles have been especially developed to collect slow projectiles, such as in front of bullet traps. Thanks to their unique material density projectiles penetrate only with a low kinetic energy into the tiles and ricochet is reliably prevented. Installation Nailed or screwed into wall studs or wooden slats. Nailed or screwed into wall studs or wooden slats. The compact pavers are easy to interconnect and can easily be combined with common Behaton concrete pavers due to their shape and measurements. Interlocking Pavers are perfectly suitable for all outdoor areas, especially for access paths, shooting ranges, etc. The compact pavers are extremely resilient and durable even under tough conditions, including vehicular traffic. 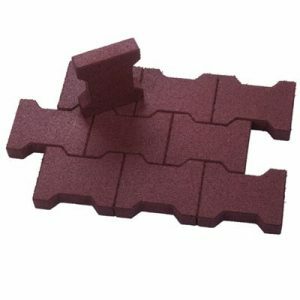 The Interlocking Pavers are available as “starters” and “half pavers”. On top of a well compacted and levelled crushed stone base. Sand is used for the joints between the pavers. Alternatively: glued onto concrete or asphalt sub-base. Fragmentation Rubber Sheets serve as the primary bullet impact area and may be built as part of a backstop immediately behind the targets. 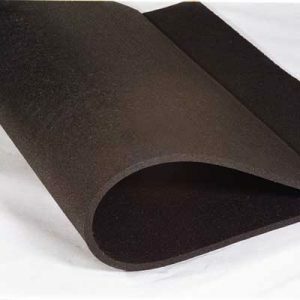 Fragmentation Rubber Sheets are supplied in rolls and can be cut to almost any required size. They are available in three different thicknesses. Safety Flooring FH possesses the best possible anti-ricochet protection from projectiles up to 7,000 joules. Three layers of polyurethane on top of the tiles provide a hardwearing 2-mm-thick seamless surface. 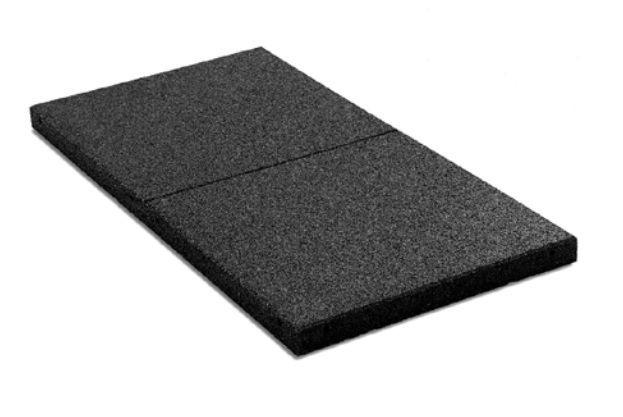 The base layer consists either of elastic tiles made of PUR-bonded rubber fibre material or if required. Its resistance to all kinds of mechanical influences makes this a hard-wearing floor surface that will be around for decades. 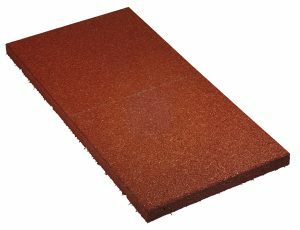 This surface is available in numerous different colors. 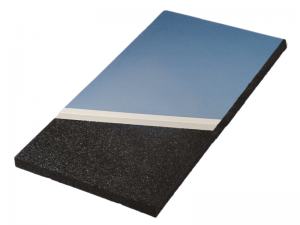 Colour Wear Layer Black base mat, PUR coated surface available in many different colours. Contact with us for other colours. Projectiles fired from angles of between 10° and 90°: none of the projectiles fired resulted in rebounds or ricochet and therefore presented no danger to the marksmen. The projectiles or projectile fragments were all successfully absorbed by the Safety Flooring. Certified by the German Proof House in Ulm. Cfl-s1 in line with DIN EN 13501-1 difficult to ignite. Fulfils the requirements of German National Technical Approval. In line with DIN 54346. Certified by TFI (Textile and Flooring Institute GmbH). Shooting Blocks are perfectly suited for use in bullet traps. They can be applied in various layers or even staggered in any height and depth. 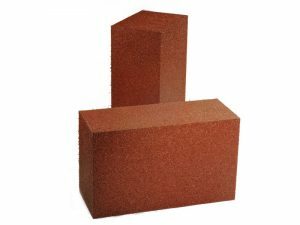 Shooting Blocks offer a wide range of application possibilities. Each bullet trap can be designed to suit individual requirements. Alternatively, specially designed constructions based on Elastic Tiles can also be installed.